The logistics industry has encountered over $9.2 billion in congestion-related losses in 2013. This statistic is according to the American Transportation Research Institute’s (ATRI) report. Congestion delays resulted in over 141 million hours of loss of productivity. That is the same as over 51,000 truck drivers sitting idle for an entire year. This is the result of inaccurate planning. The picture could have been different if the plan took into account the congestion point. It would have led to improved productivity and fewer losses. It’s not just about route planning, more about accurate route planning. Also, the effects of inaccurate planning are not limited to congestion-related losses. There is more to it. 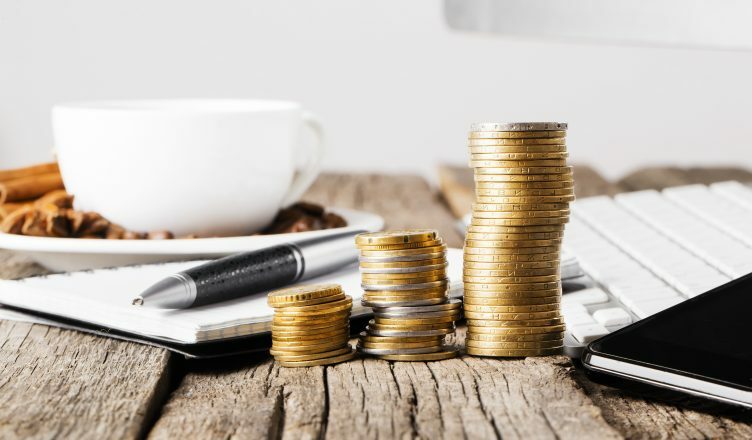 In this article, we will help you understand what other ways inaccurate planning can cost you. Also, how Route4Me can simplify your route planning. …which isn’t always possible if your route planning includes several diversions and one-ways. Such routes will often result in the drivers having to speed up to reach the customer location faster. This will lead to reckless driving and may lead to a close encounter with the police for violating road laws. Your drivers will end up circling around the same location if the routes given to them are not optimized. This will lead to excessive fuel usage. Moreover, the fuel usage will be much higher if you have a lot of depots and a lot of vehicles. They will consume 59% more gas if your drivers speed up to reach customers on time. Your drivers may be able to gain a couple of hours. However, a 59% extra gas usage will cost you. Poor route planning can cost your business a lot if you must delivery at a precise time. Let us consider this example. A food delivery company must deliver fresh products within a specific time every day. Meeting food preparation & stocking deadlines. If they show up too early, another delivery truck might be in the way. So, they will be burnt in either way, if the planned route is not correct. Soon enough, their customers will look elsewhere for on time delivery. You may have a shortage of drivers if the routes are not optimized. This means that your existing drivers need to work longer… leading to hefty overtime fees. Also, you may need to hire more drivers to cover every single customer location on time. Then their’s the training expenses to get your drivers up to full capacity. It may take up to six months for them to perform like your top drivers. That means you need to pay more for recruitment, training, salary, and overtime. Will that be good for your business? We’ve covered how wrong route planning can affect your business. But, do you know your employees’ behavior can also damage your business? For example, you may have drivers who believe that they can do their best work during the last hours. This makes them lazy. They may waste time doing personal tasks that you cannot track. You will never know what they are doing on the road if you do not have a tracking system in place. If you don’t know, you can’t change their habits. This will create pressure on your other drivers as they will need to pick up the slack, leading to conflict. We have mentioned how inaccurate planning can lead to your drivers missing deadlines. Being a manager or a business owner, you know the negative side of it. But, your drivers do not. They will develop their routine. So, your drivers may still not show up on time even if you change their route the next time. They may think a new route will not make any difference. All this creates a negative impression of complacency and carelessness for your customers. Needless to say, it will damage your business. Which is why it is important you have a route planner with a built-in tracking system. This will help you identify the cause of every late pickup or delivery… and you won’t be held hostage by your drivers. By now, you understood that it is not enough just to plan your route. You also need a route planner that can plan routes with 100% accuracy. Furthermore, it should have an integrated driver monitoring system. The good news is that you do not need to look further because Route4Me addresses everything you need. So, let us take a look at how Route4Me can benefit your business. 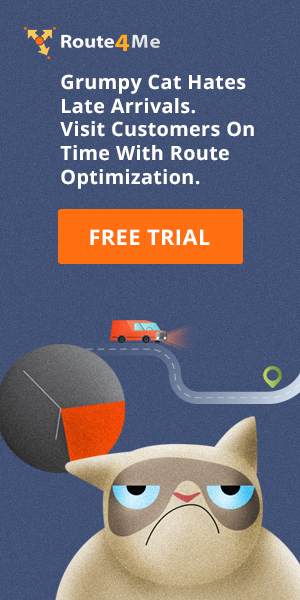 Route4Me can plan and provide you with an optimized route in under a minute. And they will be 100% accurate. This will include routes you need to avoid, such as one-way roads or congested areas. In this way, you will reach all your customers on time. It will reduce your fuel usage by up to 39% and ensure you don’t face legal troubles from traffic violations. Route4Me will even tell you if you have too many drivers handling your routes. So, you save money on fewer drivers without them showing up late to their destinations. The best part is that you get dynamic routing that you can change at any time. Need to add a surprise pick up during the middle of the day? Simply add the address into the route planner and Route4Me takes care of the rest. You can track where your drivers are in real-time and what they are doing on the road. You can visualize all the information through pie graphs and compressed spreadsheets. You can even see them on the map itself in real time. Want to know if your drivers are going off course? Route4Me will tell you. You will have complete control over your driving operations. By tracking either the vehicle or the driver, you can let the customer know their ETA. You can even track if a driver is falling behind on the planned schedule. If a driver may miss an important pickup window, you can reroute another driver. Customers will be happier if they ask for an ETA and you can give them accurate information. You can save significant time with the Route4Me synchronization feature. …just make the necessary changes within your web browser. It will automatically synchronize with your driver’s smartphone. Route4Me can help you see all your customers on an interactive map. Visualize where you are doing most of your business and in which areas you can expand into. The best part is that your field sales staff can plan routes from the map itself for maximizing their precious time. It provides automated route planning and optimization service. So, you only need to do minimal supervision and zero micromanagement. It keeps your drivers happy as you provide them with an optimized route and not leaving them in traffic every day. You can add constraints like time windows and vehicle capacities at any time. It helps you arrange stops in the perfect sequence. There is no need to buy any expensive hardware or install software. Sharing and changing routes are effortless. You can plan your routes on mobile and web browsers. You can verify that the customers received what they expected. It presents analyzed data in a simplified format… so you can make sense of it. 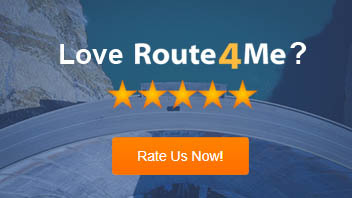 Route4Me is easy to use and intuitive. There is almost no learning curve. You do not need to go through lengthy user manuals. Just upload the list of contacts and addresses that your drivers need to visit in the app. You can also set the pickup or delivery time window. 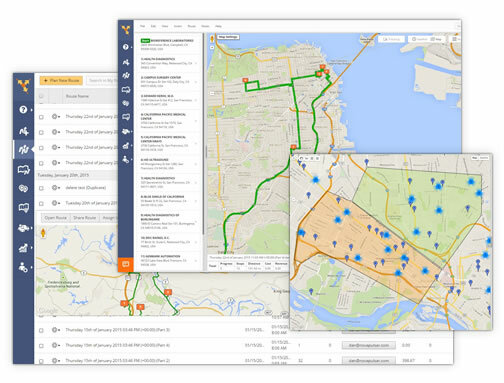 Your optimized routes will be available in minutes and automatically shared with your drivers. However, we also have a free onboarding program to make the transition process smooth. We will train your entire team and help them throughout the process. Step 1: Contact our Routing Experts. Step 2: They set up your Account. Step 3: Send your customer list to our routing expert. Step 4: Our routing expert will import your customer information into your account. Step 5: Our routing expert will create the first few routes for you. Also, they will walk you through Route4Me with live screen sharing. After these easy steps, your account will be ready for you to use at full capacity. So, what are you waiting for? Contact our routing expert and maximize your time today!